My daughter and I suffer from Eczema. All our doctors we have ever seen, have only really liked to prescribe us a few things. AQUEOUS CREAM (emollient), HYDROCORTISONE( steroid cream) and antihistamines for the itching. More recently I have got them to prescribe us Aveeno cream and bath oil. THIS IS ALSO IN MOST SHAMPOO’S AND BODY WASH. It is a cheap cleaning product. In a 2010 a study by Professor Richard Guy and his team at the University of Bath ,which was published in the British Journal of Dermatology showed that areas of skin that were treated with aqueous cream every day for 4 weeks where 12% thinner and an ‘average of 20% increase in water loss through the ‘thinner’ treated areas. This was one very small survey so we can’t all take it as gospel but it does make me think! For me Aveeno products feel like they do a much better job at SINKING into my skin, unlike other emollients that just seem to sit on top of your skin (and thin it a bit, LOVELY!). The active ingredient in all Aveeno products are colloidal (finely milled) oats, which skin soothing powers have been known since prehistoric times. If you suffer from dry skin or eczema try this stuff! You can buy it in the shops but you can get it on prescription in the UK although you have to force them so I’m guessing it’s much, much more expensive than aqueous cream the others. When eczema flares up it can be uncontrollably itchy and then in turn sore. The steroid creams like hydrocortisone DO help with the SYMPTOMS but they are really not great for your skin, as it is a fact and a well-published side effect that, prolonged use can, again thin the skin. So the best thing one who suffers from eczema can do is try to prevent flare-ups, use of aqueous cream and steroid creams as much as possible. For my own eczema, I know that I am extremely sensitive to chemicals in some everyday products and that since switching a few everyday things it has really got it under control. I still suffer occasionally of course as I don’t even know what exact thing it is that sets it off! 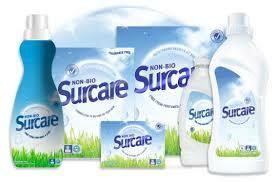 I have found in the supermarkets the best one for me is Surecare. When I first decided to start changing all this stuff I thought I would try FAIRY as it says its so kind to skin, bla bla bla.. not MINE! Me and my daughter were sooo allergic. I had to immediately change all sheets, duvets, anything that had been touched by the wicked FAIRY GODMOTHER. I use hemp soap from the health shop. Which is another natural good one for dry skin. 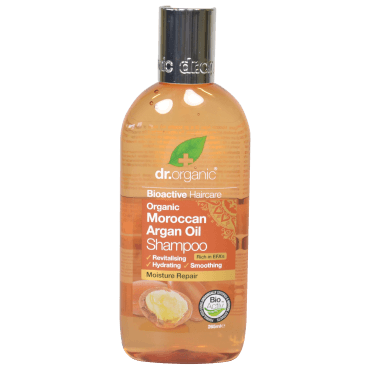 Hair-wise, I personally like Dr Organics range. (you can buy it in Holland and Barrett for £2.99) But I haven’t really experimented with that many. And I know that it doesn’t make me feel itchy. I now, having made the switch have realised that it is something in shampoo’s that I am really allergic to as if I ever have to use anything else I immediately feel the itch! FAIRY= EVIL FOR OUR ECZEMA. Fairy washing up liquid. Yes, I will admit it is the best cleaning wise but it makes my skin SO SO itchy. I use ECOVER now which is better. (doesn’t clean so well though) but it def does the job and is worth it! Like I said before its really good and worth a try. I would love to know any other things people have tried or products to recommend as I know there must be some more! I can’t really word it any better than this. Here is our ingredient policy and further info about the products. World. This genius is the same man who took The original botanical company Aveda from a £50m company to a £750m company with his cutting edge botanical formulations. When they cut his product development budget he decided to come to Arbonne where he now heads up the product development team with a group of truly amazing scientists. A scientist I’m not, nor a skin care specialist. I and my boys and my clients are however true products of these amazing products and enjoying and experiencing the amazing results these products have to offer. I personally believe they work as well as the do because of all the things they are formulated without. No dyes, fragrances, parabens, gluten, animal by products.. The list goes on. They are what our founder set out to create. Pure. Safe and Beneficial. Have a read of our ingredient policy and promise here http://www.arbonne.com/discoveruk/promise/our-promise.shtml. Aveeno products are non-prescription, and should be found on most supermarket shelves. Oatmeal colloids require a bit more processing than just fine milling. The fine milled oats are boiled and then filtered to remove particles in suspension larger than 1 micron. What remains is a viscous fluid containing super-fine oat particles, suspended proteins, and other chemicals that have been released by the boiling process. People with a known allergy to oats, and some people with known allergy/intolerance to gluten, should be careful using colloidal oatmeal products on the skin. Sodium Lauryl Sulphate (SLS) and Sodium Laureth Sulphate (SLES) are both extremely effective surfactants that can actually be naturally derived from plants such as coconut. Many “organic” and “natural” dish detergents contain plant-derived SLS/SLES. More commonly, though, it is derived from petroleum products, but there is virtually no difference between the end products. Yes, SLS and SLES are both highly irritating to even normal skin, and they should both be avoided when treating eczema. Be aware, though, many products, from hand soap and laundry detergents to women’s make up,contain these chemicals and the labels do not always have to state the contents. The “link to cancer” is still spurious, but these chemicals are certainly not beneficial to eczematous skin. I’m a little confused by “So the best thing one who suffers from eczema can do is try to prevent flare-ups, use of aqueous cream and steroid creams as much as possible”, especially after you mentioned the problems with SLS and the thin-skinning side effect of topical corticosteroids. Topical corticosteroids do cause thinning of the skin over long term use. The goal is to use the steroid ointment on a short term basis to get inflammation under control, and then stop using it, or step down to an infrequent maintenance dose. Long term and excessive/abusive use of topical corticosteroids can hve some severe side effects, and typically results in what is called “rebound” after cessation of use (the return of the eczematous inflammation, sometime more severe than previous inflammation). Rebound is due to inability of cortisol-producing system in the body to cope with the disappearance of steroid (cortisol) supplement. I actually recommend ointments over creams, as creams usually contain parabens among several other chemical emulsifiers and antimicrobials; ointments tend to have very minimal ingredient lists. You mention that you continue to have occasional eczema flares, even after changing to Surcare and other products. You might want to try moving away from Surcare as it ambiguously lists “Anionic Surfactants” in the ingredient list. SLS/SLES are anionic surfactants, and can potentially be part of the problem if Surcare contains these–the residual SLS/SLES from laundry detergent in clothing can be enough to trigger eczema. You might consider calling the company to get a proper list of ingredients. But, keep to dye-free, perfume-free products for everything in the house–including dish washing, window cleaners, etc. With the Dr Organics products, keep a close eye on your skin while using these. Since they contain a long list of essential oils and plant extracts there is a potential to develop sensitivities to some of the oils. I tried this product line, and I had to give it all to my wife to finish as my skin was completely intolerant of it. Ultimately, I found a hand-made, home-made, olive oil castille soap that I buy from the woman who makes it, here in Connecticut, USA. I use it as both body soap and shampoo, and my incredibly sensitive skin has been remarkably tolerant of it. Hi, Greg. Thank you so much for your comment and info. I shall definitely be following your blog! I meant the best thing that I can do for my skin, is to prevent flare-ups as much as possible so that I can avoid having to use the steroids/aqueous creams. (maybe I need to rewrite that bit if it’s not clear?). So I found by changing a few household items it has greatly improved. Hence, me listing what works for me at the moment. I also would love to know what other people have found helps them. I suffered for years and the doc’s never once recommended any alternative products to use that you can buy. 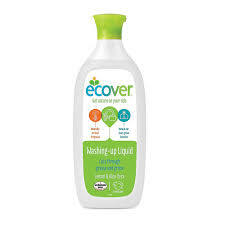 With the washing powder, I looked at all the brands you can buy in the supermarket and this was the one with the least stuff in it, in the UK. What do you use? 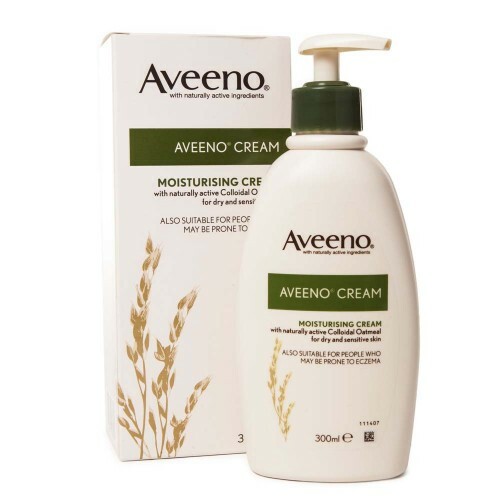 Are the Aveeno products sold both by prescription and OTC in the UK? If it’s prescribed does NHS cover the cost? I have been using All Free Clear laundry detergent for the past twenty years or more. No SLS/SLES in it. I also put my laundry through a second wash to rinse, and I add a cup or two of white vinegar to the second wash to help remove any residual chemicals from the All detergent. If you browse through the articles I’ve written, you’ll find my opus on laundry from a couple of years ago. I still follow the same procedure, today. are pregnant or have had a baby in the previous 12 months. We are very lucky with our amazing NHS. Yeah my doc said ‘ you could think about changing your shampoo’s etc, but never mentioned any brands to try etc. What do you think triggered the eczema ? yes, you have to force the docs so I am guessing its more expensive than the other stuff but well worth it. Try surecare, and my mate said they sell it in super drug really cheap! SOO many people do.. I wonder if so many people did in the days before there was so much perfumes and chemicals in everything? Eczema can be a complete nightmare. There is a lot of confusing advice out there, and unfortunately a lot of people wanting to take advantage and make quick money, by making it more complicated than it is. I have suffered eczema all my life, and this is my simple advice, based on experience and a lot of reading of medical literature. First, avoid irritants. Different people will be sensitive to different things, mostly to substances which contact the skin. Only a small minority of people have eczema triggered by food, so eat normally until you’ve tried everything else. Soap, or anything like soap, is very drying so avoid it. 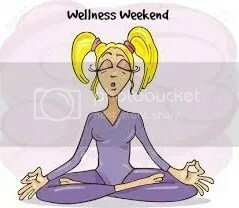 Use rubber gloves for washing dishes, use soap substitute for washing yourself. There are plenty of different options, and no proof that one is better than the other, just find one you like and use. By the way, acqueous cream is fine to use as a wash-off soap substitute, but not as a leave-on moisturiser. Second, use LOTS of emollient. Emollient is just a scientific word for moisturiser. Again, there is no proof that one is better than another, so whatever suits you. The drier your skin is, the greasier the emollient needs to be. Lotions are least greasy, cream in the middle, and ointment is most greasy. You might use different products on different areas of skin. Washing strips the natural oils from the skin, so at the very least, use emollient every time you wash. You might need it far more -many times a day when your skin is bad. Three, steroids or tacrolimus/siroliumus. You can only get these on prescription, and they should be treated with respect (not fear). Yes, all medicines can have side effects, so need to be used appropriately. The side effects mostly relate to long term use, so Use these in short bursts to bring down flares. Untreated severe eczema can also cause problems if you get infection or scarring, not to mention the lifestyle restrictions, so don’t be afraid to zap it when needed. If you have a child with bad eczema, ask to see a dermatology nurse. They’re really good with practical advice, and there are certain techniques for bandaging etc which might be helpful. NHS doesn’t always provide this service for adults, but worth asking. One last thing- be very sceptical of any “cures” for eczema, I only ever use the word “control”, certainly for adults. The good news is more than half of children will naturally grow out of their eczema by adulthood. Great advice there thanks ! By the way, you’re right, aveeno is more expensive than other emollients, so most NHS authorities restrict its use. You’re also right that Aqueous cream should not be used as a leave on emollient. There are plenty of options more suitable than aqueous cream, and cheaper than aveeno, so its a shame you weren’t offered these. I suffer from a form of eczema called pomphoryx eczema. It hasnt any definate cause although it is linked to contact eczema which I also suffer from and is known to flair up during times of stress. My doctor told me that emolients were not useful for me, so I have never tried them, and I avoid using steriod creams when I have a flair up inless its really bad. Next Next post: THINGS TO DO AROUND FROME WITH KIDS.